If you offer services that are not in-person (Skype, phone calls, etc.) 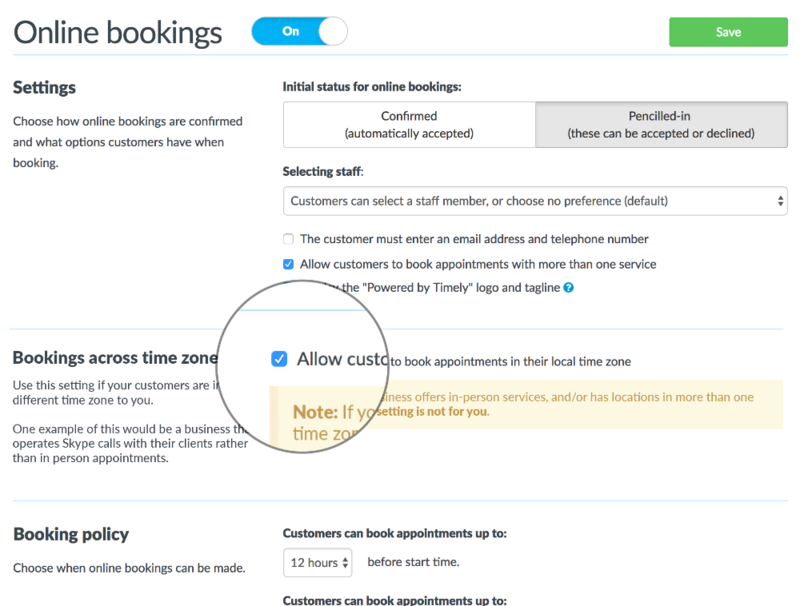 to customers in a different country or time zone than your business, then you can let your customers book appointments, receive reminders and notifications in their own time zone. You'll still be able to view your bookings in the Calendar in your own time zone, so there won't be any confusion. Set the time zone for your business. 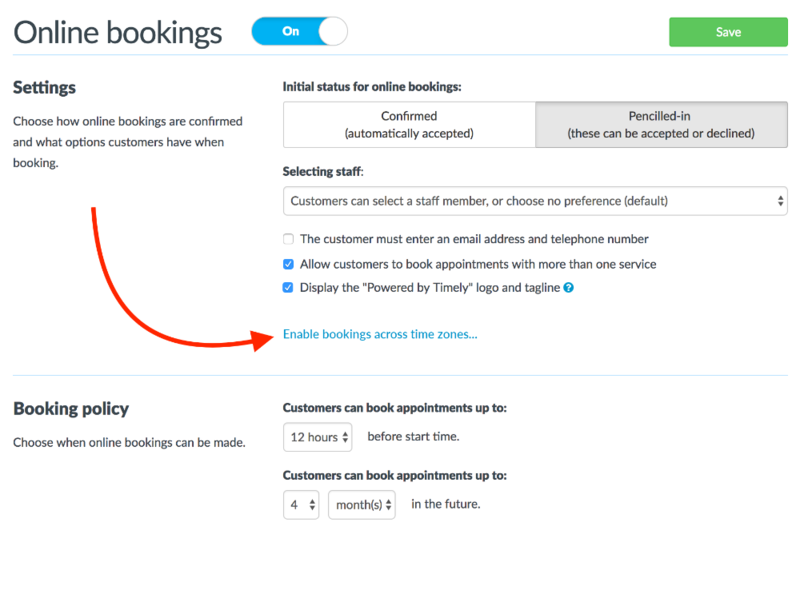 Allow customers to book in their own time zone. View a customer's time zone. Update a customer's time zone. Note: If your business offers in-person services, and/or has locations in more than one time zone, allowing customers to book in their local time zone is not recommended. Head to Setup > Business details in your Timely account. If you have customers that live in a different time zone than your business, or you offer services online, you can allow customers to see bookings in their own time zone. This includes when they are booking online, and any notifications and reminders that are sent. Head to Setup > Online bookings. To check whether or not a customer uses your business' default time zone or has a custom time zone, head to the Customers tab. Click Edit on their customer record. Go to the More info tab.